Do you have issues with old fillings causing pain and sensitivity in back molars? Do you hate the fact that you see old, stained metal every time you brush your teeth? 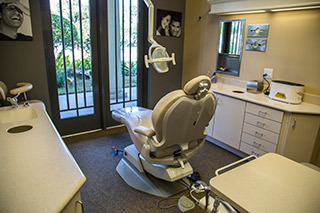 Here at Dynamic Smile Design, with one of the best cosmetic dentist offices in Orlando, we long ago moved away from traditional silver amalgam fillings and started providing tooth colored fillings that are virtually undetectable. If you have old fillings, ask Dr. Puig to check whether they have contracted, expanded, cracked, or started leaking. In many cases, an old filling will have new decay underneath it and will require replacement. For safe, beautiful dental fillings, choose tooth colored composite resin! Durable. Composite resin can sometimes last for years longer than a metal filling, as it won’t expand and contract with age. Discreet. A tooth colored filling will be nearly invisible even when you laugh! Safe. With tooth colored fillings, there is no mercury present to leak out and stain your teeth and gums. After preparing your cavity, Dr. Puig will bond the composite resin or porcelain directly to your tooth to restore optimal appearance, comfort, and function and to provide lasting protection. Think a tooth colored filling could improve your smile? Call our office or use this form to request a consultation with Dr. Puig.